Dr. Peter Tarbox is a neurologist in San Antonio, Texas and board certified in Neurology by the American Board of Psychiatry and Neurology. 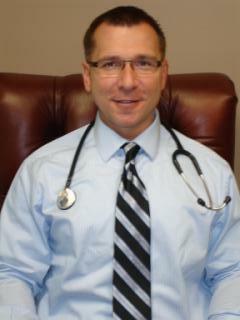 He received his medical degree from Medical College of Wisconsin and has been in practice for 21 years. 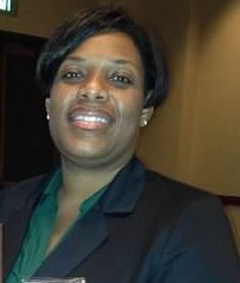 Jeannine Thomas, PA-C had a fifteen year career as a Paramedic and Educator by the time she received her Master’s degree in Physician Assistant Studies from the University of Texas Health Science Center at San Antonio in 2009. She began her Physician Assistant career at the San Antonio Military Medical Center as part of the general surgery department. PA Thomas was an integral part of all aspects of patient care from preoperative to postoperative management. PA Thomas first assisted in a wide variety of surgical procedures and also performed minor surgical procedures independently. Due to her proficiency, she was further trained in anesthesia management, surgical oncology, gastrointestinal surgery, and trauma surgery. PA Thomas then accepted a position with the UT Medicine Neurology department. She evaluated and treated patients in the outpatient clinic. Due to her dexterity, she was given the opportunity to manage patients within the consultation team, Movement disorder, Headache, Neuromuscular Disorders, and Dementia subspecialty clinics. She also was involved in clinical research in association with Cancer Therapy & Research Center. PA Thomas is trained in Botox injections, occipital nerve blocks, and deep brain stimulation programming. Earned selection in the Worldwide Leaders in Healthcare with the International Association of HealthCare Professionals 2013. We welcome Nurse Practitioner Davila to Neurology Consultants of San Antonio! Martha A. Davila, FNP-BC had accumulated more than twenty years of medical and nursing experience by the time she received her Master’s degree in Nursing Science in 2017 with a focus in Advanced Practice-Family Nurse Practitioner from South University. She first started her nursing career at University Hospital in the Medical Surgical department. She then rotated through a spectrum of nursing departments including the Chest Pain Center, Telemetry Unit, Intermediate Progressive Care Unit, Medical Intensive Care Unit, and lastly Oncology. Martha A. Davila, FNP-BC participated in the campaign to achieve Nursing Magnet Status Designation at University hospital; the first awarded in South Texas. FNP-BC Davila assisted in opening and sustaining the first Stroke Unit in San Antonio, Texas to receive National Accreditation. 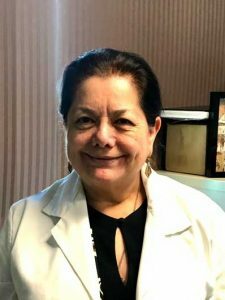 Martha A. Davila, FNP-BC received and maintained National Certifications including: Medical–Surgical Certification, Trauma Care Core Certification, Chemotherapy Certification, CPR- Instructor Certification, Medical Interpreter (Spanish), and Family Nurse Practitioner Certification. Medical-Surgical Board certification from the American Nurses Credentialing Center.